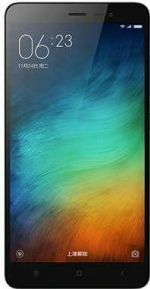 Xiaomi Redmi Note 3 is a substantial upgrade to Xiaomi's ' Redmi Note' series which until today included great value for money phablets, but with simple sober exterior design. The Redmi Note 3, however, is clad in metal and is the first Xiaomi device with a fingerprint sensor, which is one the fastest in this class. As per Xiaomi claims, it can unlock your phone in just 0.3 seconds, but in practice it takes a bit more when the handset is locked. Talking about other features and specifications, there is a 5.5 Inch full HD display, a Hexa-core Snapdragon 650 chipset, 2GB RAM and 16GB storage. For the gamers delight, Redmi Note 3 comes equipped with Adreno 510 GPU to handle all graphical requirements. Xiaomi at the launch event seemed quite upbeat about the gaming experience on the phone and went on to compare it with Nexus 6P. For photography, there is 16MP rear camera sensor along with phase detection autofocus (PDAF) and LED flash and is paired with a 5MP front shooter, both of which can record 1080p full HD videos. At the front, Xiaomi Redmi Note 3 also features a 5-megapixel selfie camera which features beautify mode for spot free selfies. The software is Android Lollipop based MIUI 7 which is something in line with our taste. The 4050 mAh battery can last for a maximum talk time of 60 Hours. Other features include rapid charging, 4GLTE, VoLTE, Active noise cancellation, WiFi, Bluetooth 4.1 and USB OTG. microSD card only expandable up to 32GB. The Xiaomi Redmi Note 3 unit I’ve been using already has a sizeable speck of dust in the middle of the camera lens. Mi enhancer is awesome with earphones/headphones. Awesome gaming quality and 3G/4G net speed. I am using this phone since it's second flash sale.Overall its excellent. Only 8gb available out of 16gb..